Love Mumbai’s famous golden bhel? 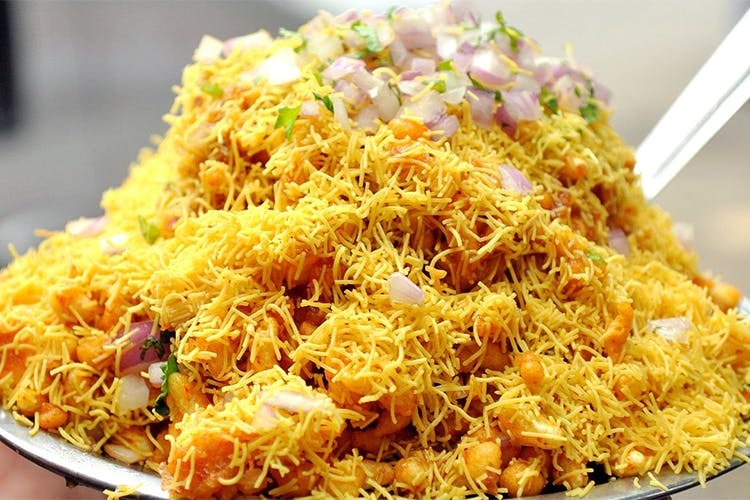 Then it’s time you visit Golden Bhelpuri in Girgaon which is apparently where this delicious chaat recipe was born. The birthplace of the original golden bhel, this well-kept secret is the bible for generations of chaat-lovers! Golden Bhelpuri is hidden inside Fresh Gaze, and you need to be an insider to detect its hiding place inside the residential colony. Once discovered, this bustling chaat wala doles out everything- from various mouthwatering bhels to aloo chaats and is rarely lonely. Synonymous with its signature ‘golden bhel’, the founders claim to have been the original creators who have contributed this must-have treat to Mumbai foodies. Once you’ve ordered it, don’t forget to ask for extra golden bhel chutney to really make the most of your experience. Interestingly, you can also place an order for this chutney to whip up your own golden bhel at home. Chaat lovers, make your way to this stall in SoBo and relish this amazing Mumbai delicacy.